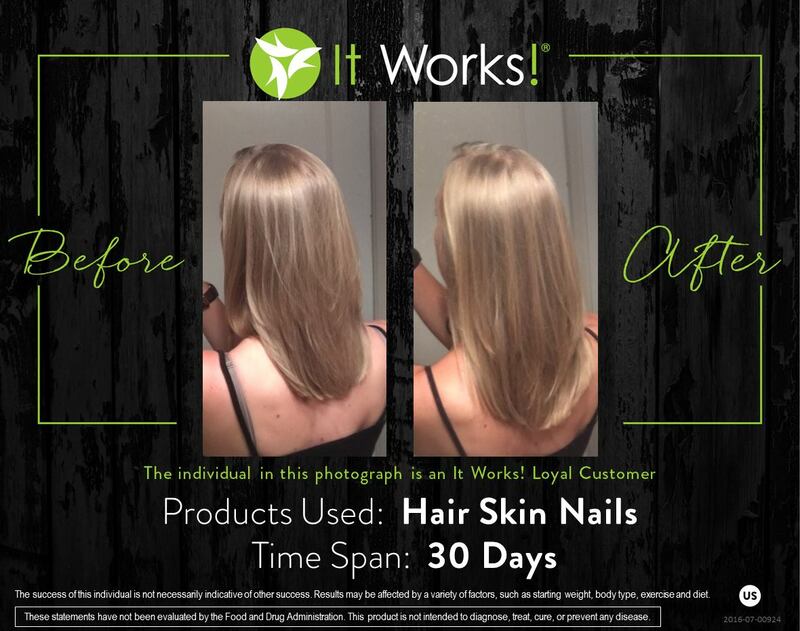 Have you tried the fabulous It Works Hair Skin Nails Supplement yet? There are 60 tablets in each bottle, enough for a 30 day supply of Hair Skin and Nails. Try a 90 day course. The cost of the new Hair Skin Nails supplement is $55 retail and only $33 for loyal customers – just select the checkout option for ‘loyal customer‘ to get this product at this massively discounted price! ORDER Hair Skin Nails Supplement NOW! 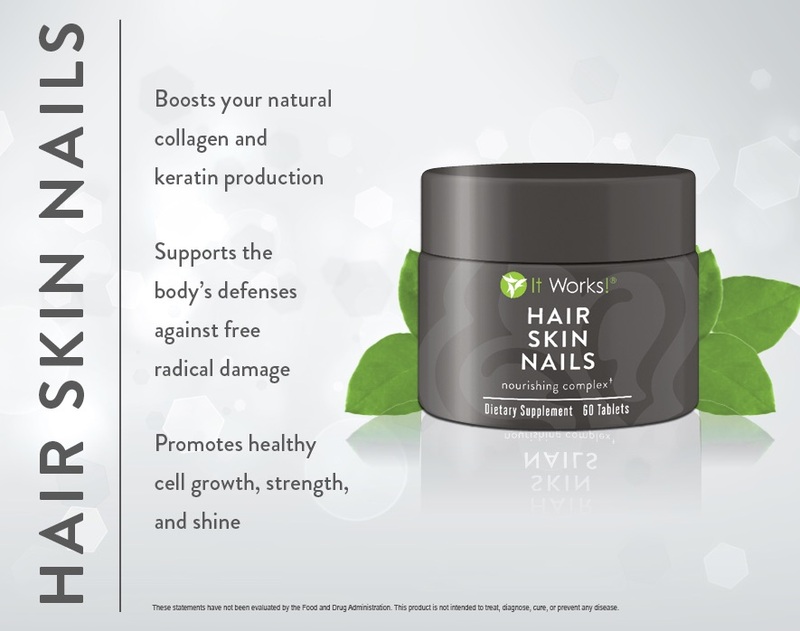 Remember, the supplement also works to improve skin elasticity and strengthen nails, too!